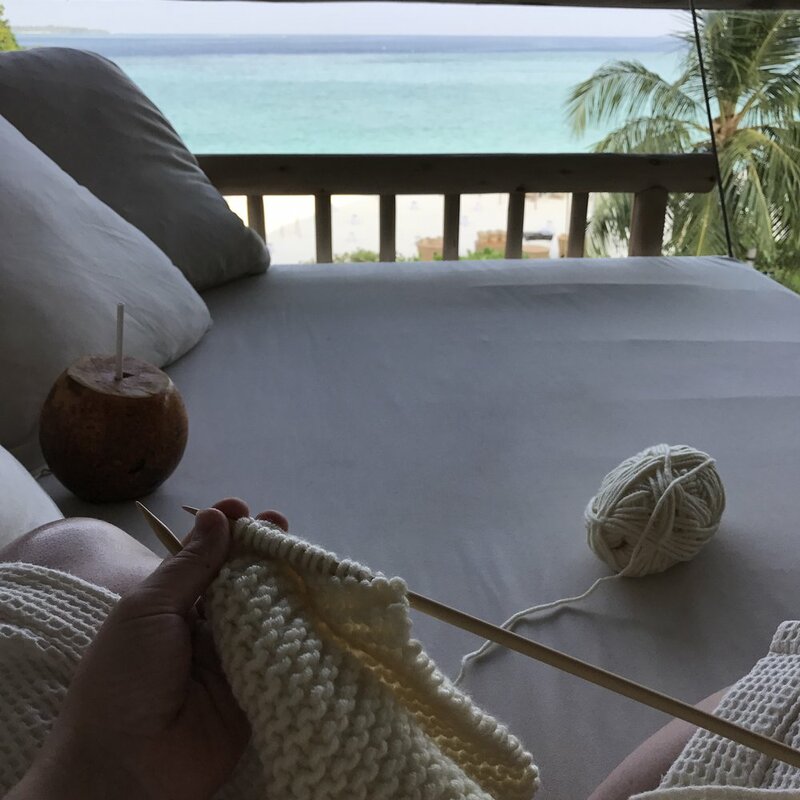 I went on a beautiful beach vacation with my family over the holidays, and spent most of my time furiously knitting and expressing my increasingly-radical leftist politics. Mom started calling me Madame Defarge. Madame Defarge is a character in A Tale of Two Cities by Charles Dickens. She represents the Reign of Terror during the French Revolution, when those revolting against the nobility became violent. Madame Defarge was one of the tricoteuse: women who would sit at the guillotine and knit as the heads rolled. She even encoded kill lists into her patterns. I’m so excited to read this book; I remember being fascinated by the French Revolution in high school history class, and the French Rebellion in high school existentialism (which should be a requirement, by the way). Americans need to collectively study history right now, and France, our oldest ally, is an important place to look. I sympathize with Madame Defarge — at least from the summary, even though it labels her a villain — but I am not a violent person. She is deeply traumatized and we have to understand what that does to a person, how it can make them violent, how trauma and violence get passed through generations. I do understand the strategy of punching a bully in the face, but it’s only a short term solution; they’re often traumatized too. Giving a bully a safe space to talk about their problems, to meditate even, works much better. I don’t want to help usher in an era named something like the Reign of Terror. I love the symbolism of the knitted hats at the Women’s March. First of all, they honor the history of revolutionary women and textiles, like the suffragettes and their flags. Second, they are such a perfect antidote to the made-in-China, polyester red slogan caps. They are a softer in color and texture, they keep you warm, they were hand-crafted by a citizen with aspirational love. The photos of old women smiling and knitting them, and of young women out in the streets singing and dancing in them, and vice-versa, are beautiful. Finally, as I begin to learn these cozy crafts, I really appreciate the immense patience and skill they require. Learning to read the patterns alone is a challenge, and it’s an unforgiving medium. The textiles women have created to wrap their loved ones in are even more lovely to me now. Propers to the men who brought us sewing and knitting machines as well; beautiful and fascinating in their own right. And thank you to everyone for the internet tutorials.